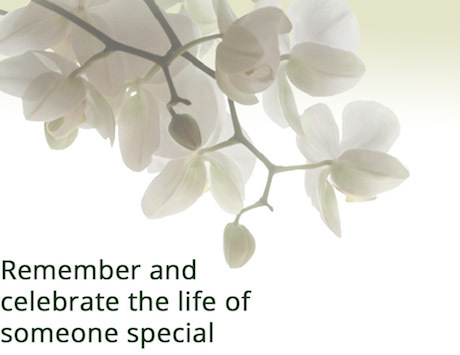 Creating an online tribute in memory of a loved one is a special way to remember and celebrate their life. Your page can be used to pass on information to family and friends about funeral arrangements, including a map and instructions for guests, anniversaries or other important occasions. It is also ideal for collection donations for your chosen charities. Armstrongs Funeral Service offers a free online memorial tribute service, so that you can easily create a beautiful memorial to help cherish the memory of your loved one. As your own special tribute, this online page can help you remember and reflect. Friends and family anywhere in the world can share precious memories by posting stories, favourite pictures, music and memories, or lighting a candle. Over time it will develop into a beautiful, lasting legacy for your family and future generations, as each memory and contribution is added. If you're holding a funeral or memorial service it's easy to arrange for donations to be made in support of a chosen charity or cause, by requesting donations via your Tribute site in lieu of flowers. We are a well established, locally owned and independent family company committed to providing the highest standards of care and service to each family that we serve; offering totally bespoke funeral arrangements to suit a wide variety of individual requests.